A full world class education from top schools is now at your fingertips. 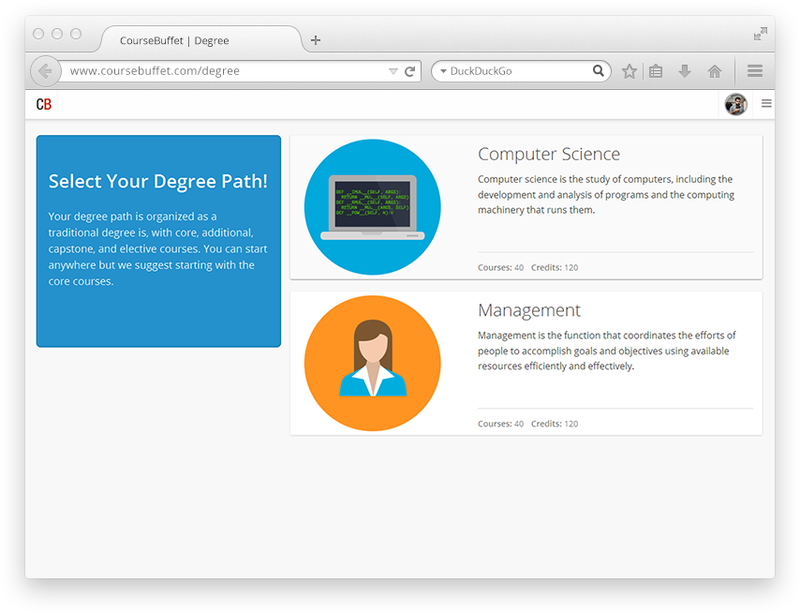 Expand your brain and fatten your wallet with CourseBuffet Degree Paths. 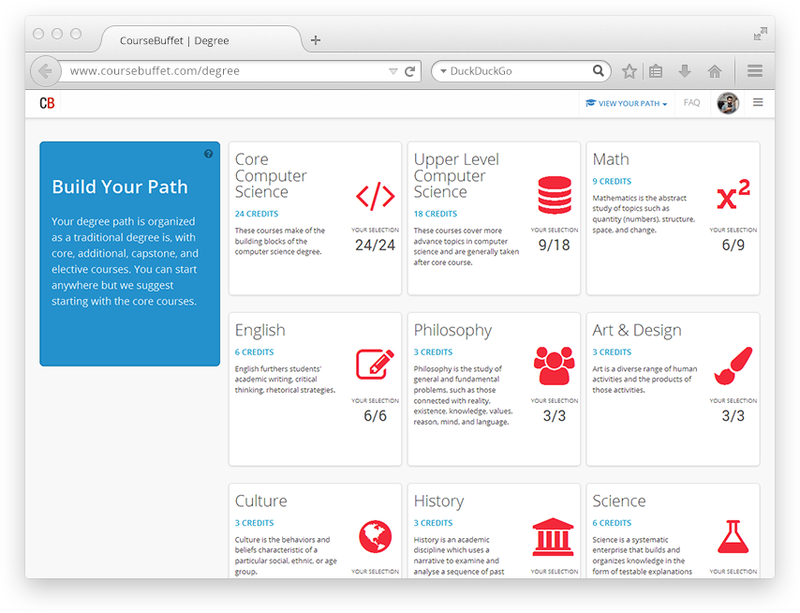 Take a course now and start building new skill sets immediately. Select courses from world class professors and top universities. Show your learning goals to colleagues and employers with ease. Start learning lucrative Computer Science or always useful Management skills. Straight forward layout that makes your learning goals easy to understand and keeps your focus on learning.